Salesforce has always shown strong support for nonprofit organizations with their 1-1-1 philanthropy model. Now they’ve taken their commitment to the next level by announcing the Nonprofit Cloud and Education Cloud. While we don’t know the full scope of what new features and support this will ultimately entail, we do know that this is great news! And what better place to learn about these new Clouds than at Dreamforce? Not familiar with Dreamforce? It’s Salesforce’s annual conference where admins, developers, leaders and users all come together to share, learn, network, and have fun. Think of it like a class reunion where you and about 200,000 of your closest friends take over San Francisco for four days. There are exciting new announcements, opportunities to get hands-on with learning and building, as well as the chance to meet other nonprofits using the platform. Dreamforce registrations have already sold out for this year. If you were one of the lucky ones to book your registration early, we can’t wait to see you there! We even have some suggestions to make the most out of your Dreamforce experience. Dreamforce is big. Really big. The campus covers multiple areas of the Moscone Conference Center as well as several hotels in the surrounding blocks. The Nonprofit Lodge will be located at the Westin St. Francis Hotel, which means numerous sessions specific to Nonprofits will be located here. It’s a great home base from which you can network, but don’t be afraid to stretch your legs and check out the rest of the campus. This is a perfect way to meet face to face with Trailblazers you might otherwise only talk to in the Success Community or Power of Us hub. Connect with your online community and see who else is attending. There will also be a BUNCH of after-hours events, so make sure you’re ready to socialize! Some events may ask you to register, or at least RSVP, so watch for deadlines. Cloud for Good will be all around the campus for several great sessions, so be sure to keep an eye out for us, or check out our Dreamforce landing page. There will be several opportunities to give back while you’re at Dreamforce. Consider scheduling some time in your Agenda to volunteer at Kids Coding, wrapping gifts for Children of Shelters, or attending PepUp Tech’s karaoke party. Dreamforce can be a little overwhelming. Okay, a LOT overwhelming! With over 2,700 sessions, where do you even begin? Ask yourself a few questions before you start planning your schedule. What is the most important thing you want to learn, see and do? What would be the most valuable takeaway you could bring back to your organization? Are you more interested in nitty-gritty technical details or big-picture thinking? These kinds of questions can help you focus your priorities. Once you have an idea of Dreamforce goals, then you can start planning your agenda. In true Trailblazer fashion, Dreamforce puts together Trail Maps to help you navigate! Use the dropdown menu to select your focus, and the Trail Map guides you through recommended sessions each day. Really, it doesn’t get much easier than that. The Agenda Builder went live yesterday, so you can begin to reserve your seat for the sessions you’re most interested in. Building your agenda is a great way to flag which sessions you don’t want to miss. But remember to be flexible with your schedule. You might get caught up in a great conversation or get pulled into an interesting Theater session as you walk by. Many of the sessions are recorded and will be available on YouTube afterward, so don’t stress out if you can’t attend every single session you bookmarked. If you can’t attend Dreamforce this year, it doesn’t mean you’ll miss all the fun. Many of the major keynotes are available to watch as live stream videos! Block the time on your calendar and head over to Salesforce’s video page to be a part of the action. I mentioned it above, but it’s worth repeating – many of the sessions are recorded. Check back on the Dreamforce Sessions page or search YouTube.com for the session title. Just because Dreamforce ends on September 28, it doesn’t mean the fun stops! After Dreamforce you can get the inside scoop on all the highlights by attending a local gathering (after the event Salesforce posts a Global Gatherings list of locations: search “Salesforce Global Gatherings” to find one near you). You can get key highlights, resources for additional learning, and maybe even some sweet swag from your local user groups. And it’s never too early to plan for next year. 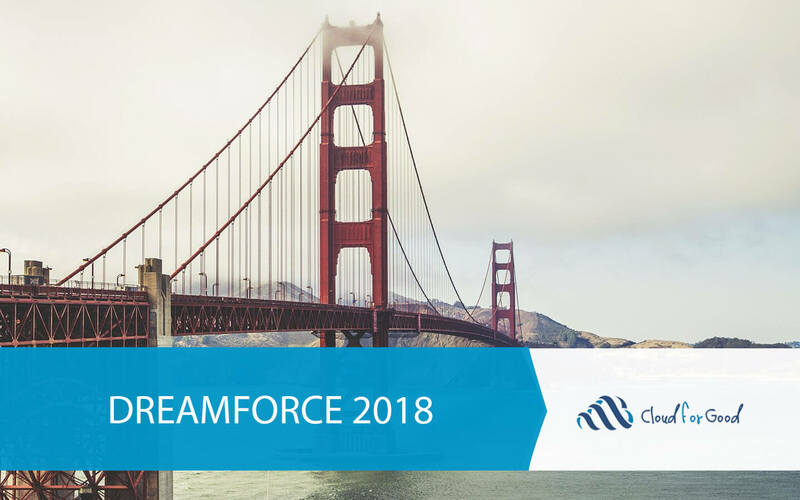 Hotels book fast and registrations sell out; start budgeting now so you can have the live Dreamforce experience yourself next year.